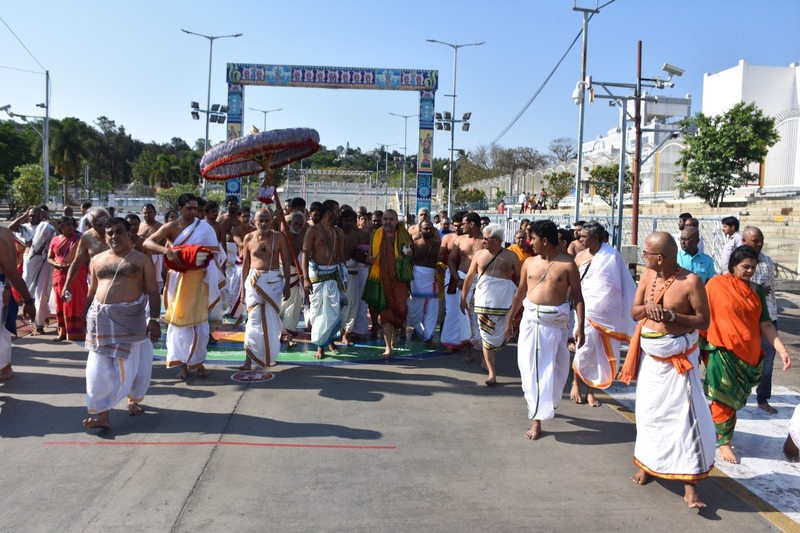 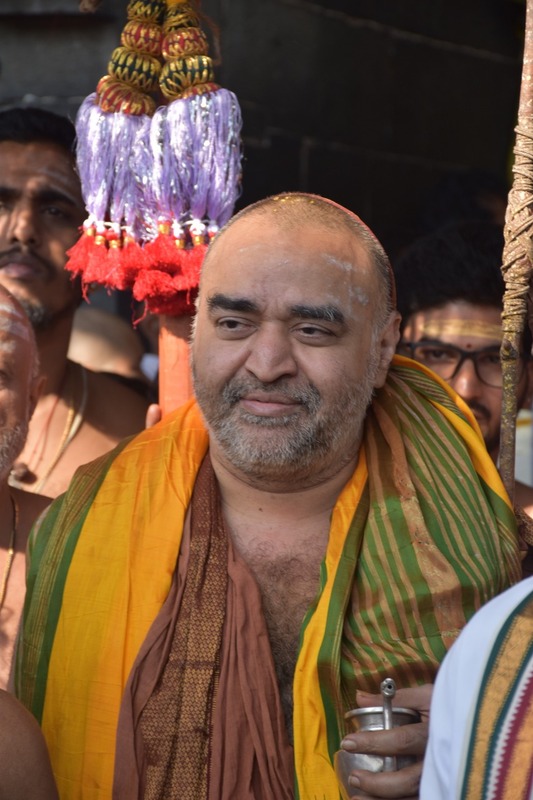 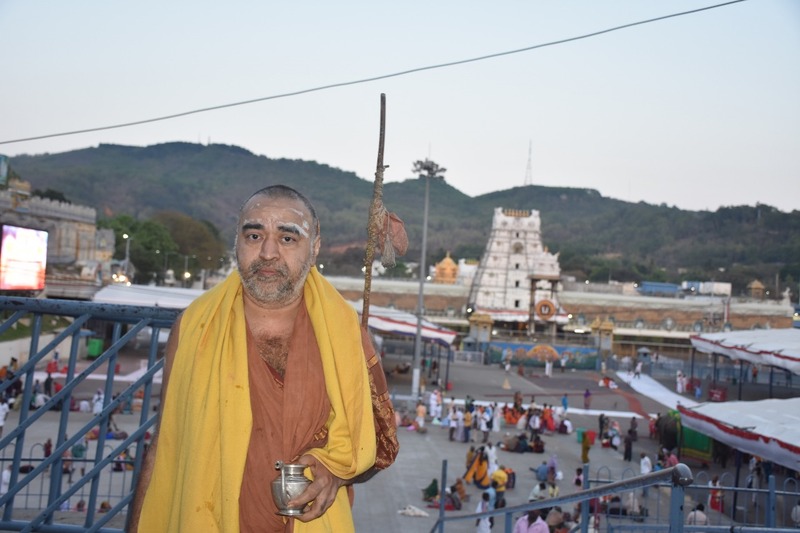 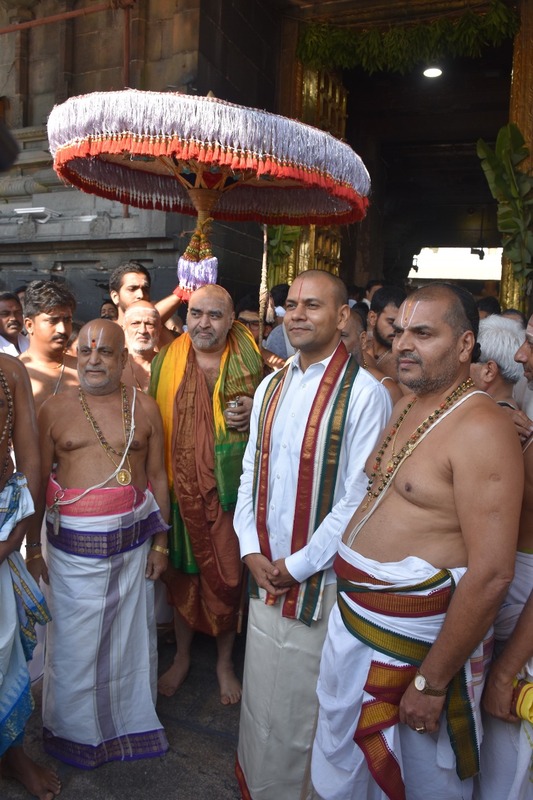 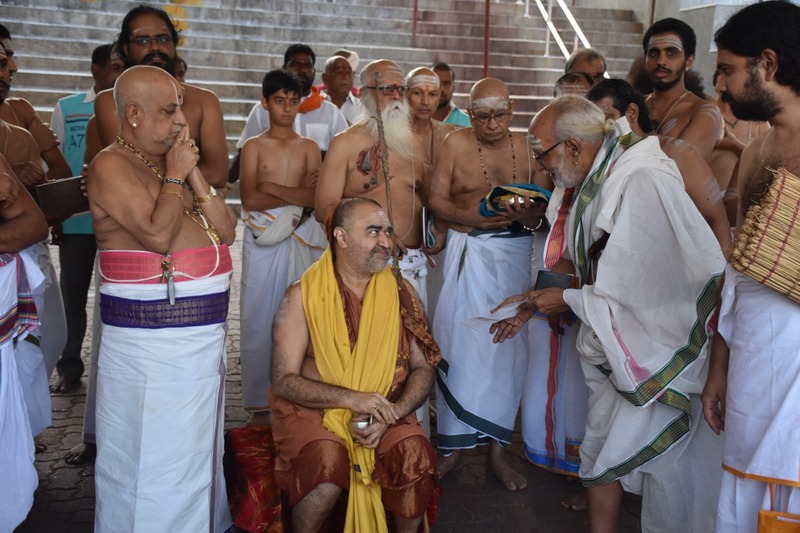 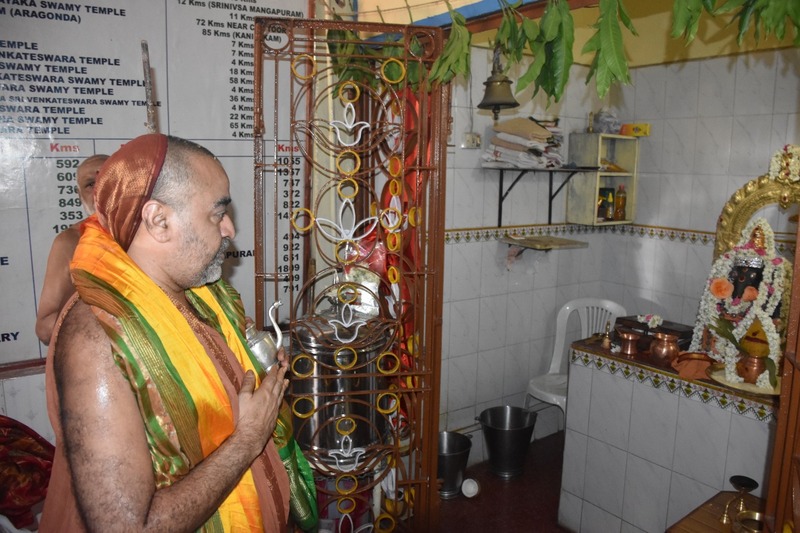 Temple Honours accorded to Pujyashri Shankara Vijayendra Saraswati Shankaracharya Swamigal at Tirumala Sri Venkateswara Swamy Devasthanam today (4 Apr. 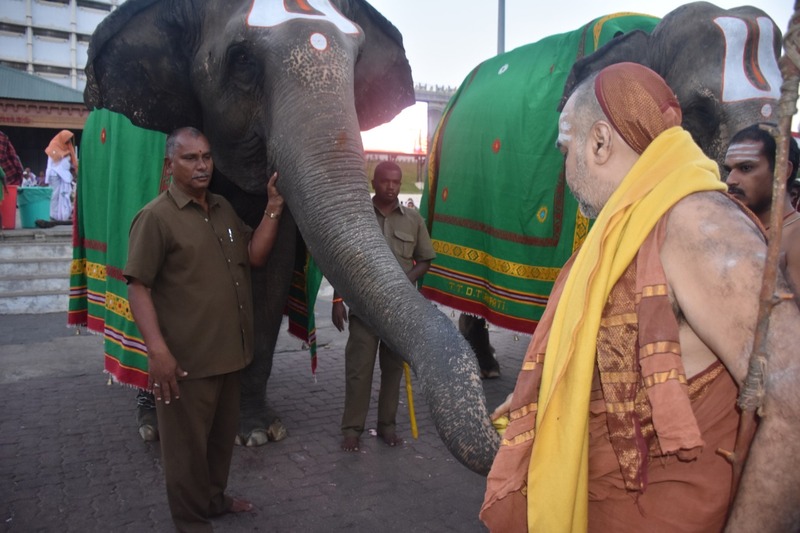 2019) - Acharyal was received at the Mettu Mandapam. 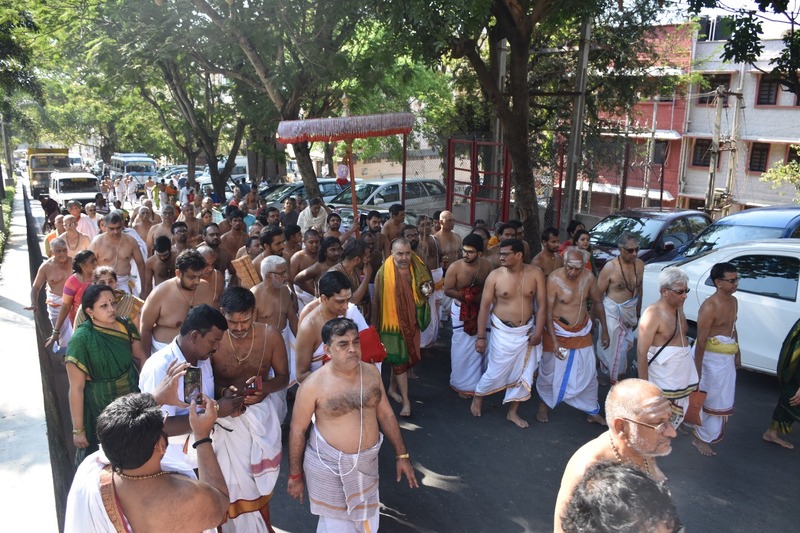 Moving in a procession,Pujyashri Acharyal had darshan of Bedi Anjaneyaswami. 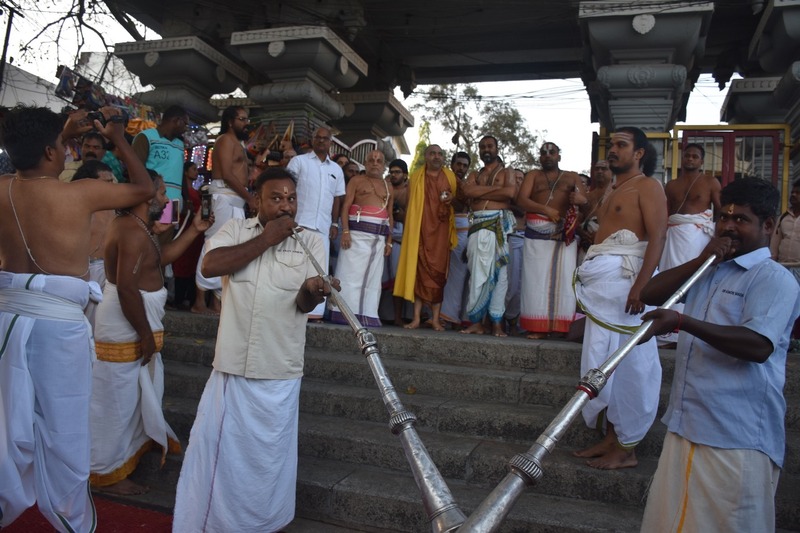 Sri Satari was brought in a procession from SriVari temple and offered to His Holiness even as Vedic Chanting and Mangalavadyam were rendered. 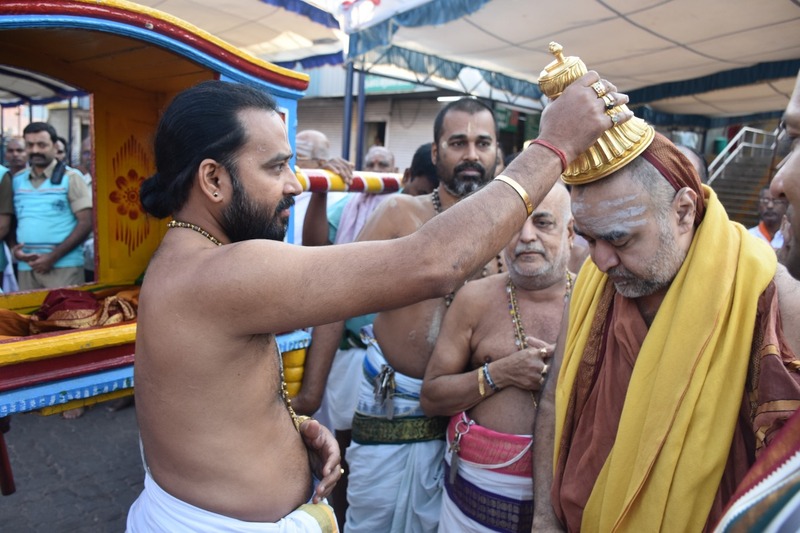 Swamivaru had Sri Vari Darshan during which time Mapi Harati was performed. 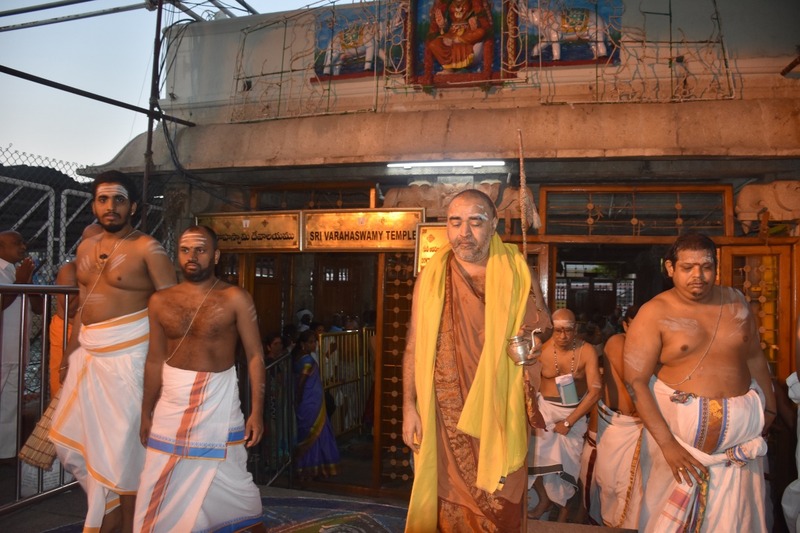 His Holiness rendered the Vinchamara Seva to Sri Venkateswara Swami. 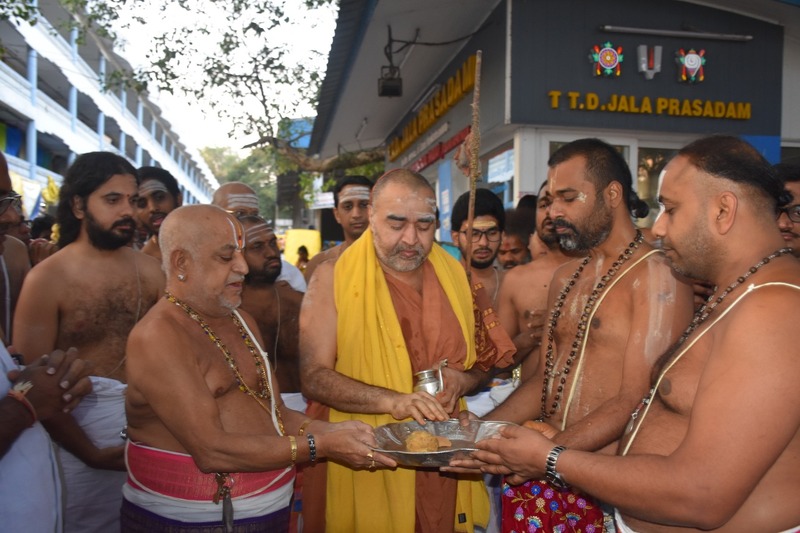 Prasadams were offered. 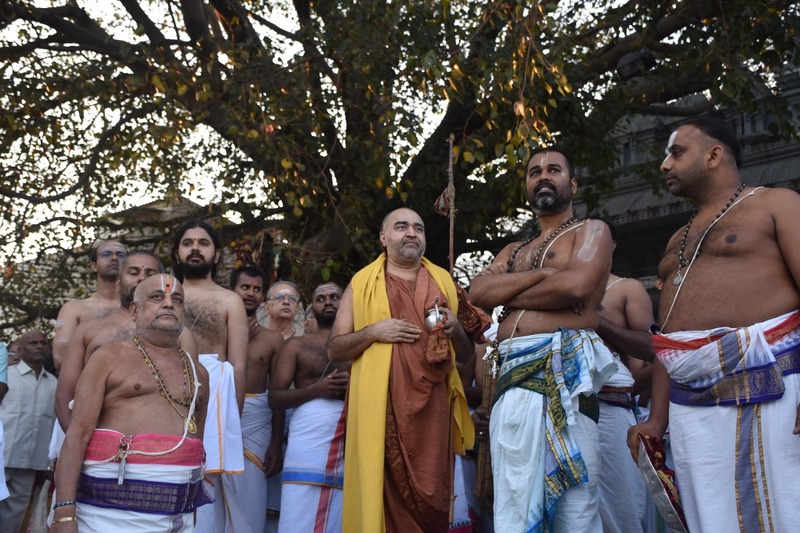 Acharyal then went around the main Sannadhi and then around the Mada Veedhi in a procession with the temple umbrella and other honors to Sri Shankara Matam. 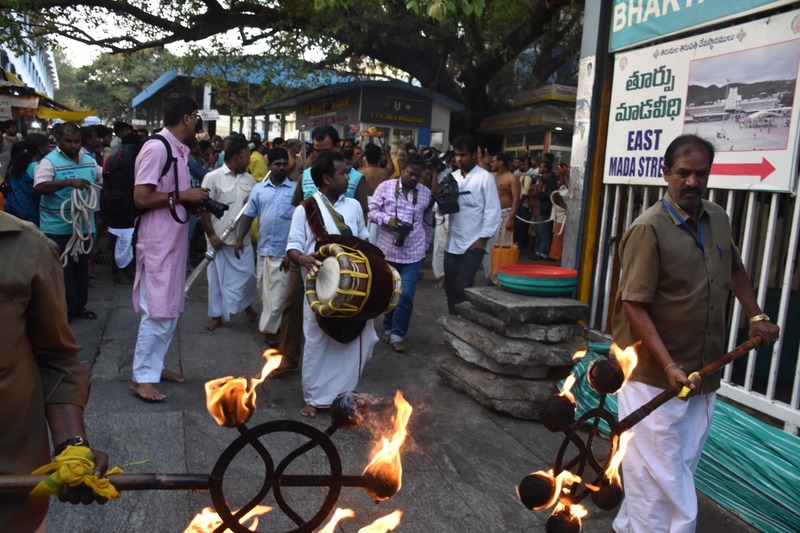 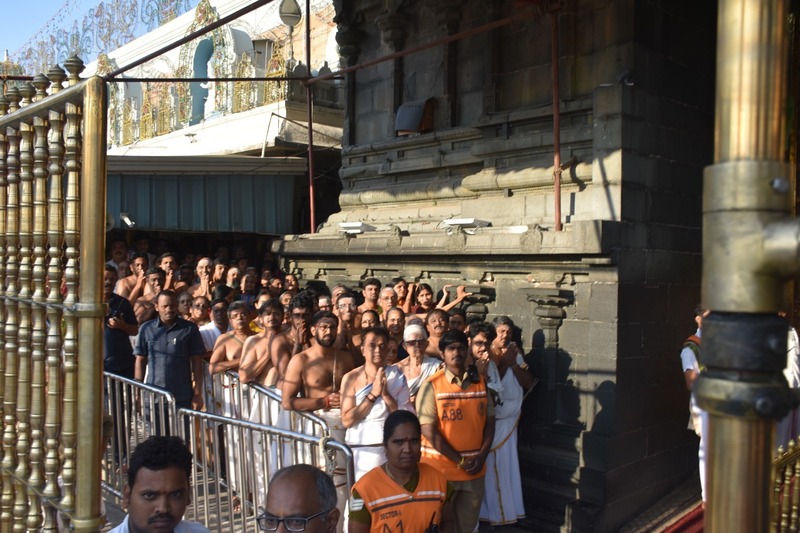 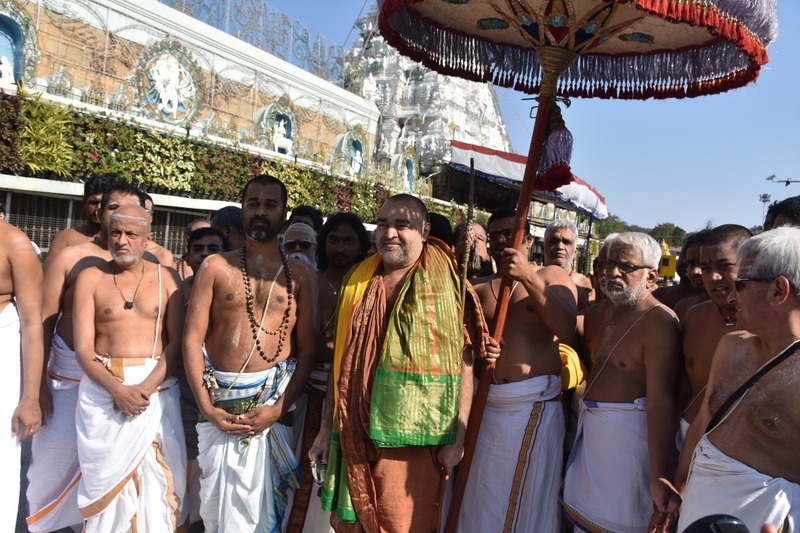 A large number of devotees participated and had darshan of Guru and Sri Venkateswara Swami. 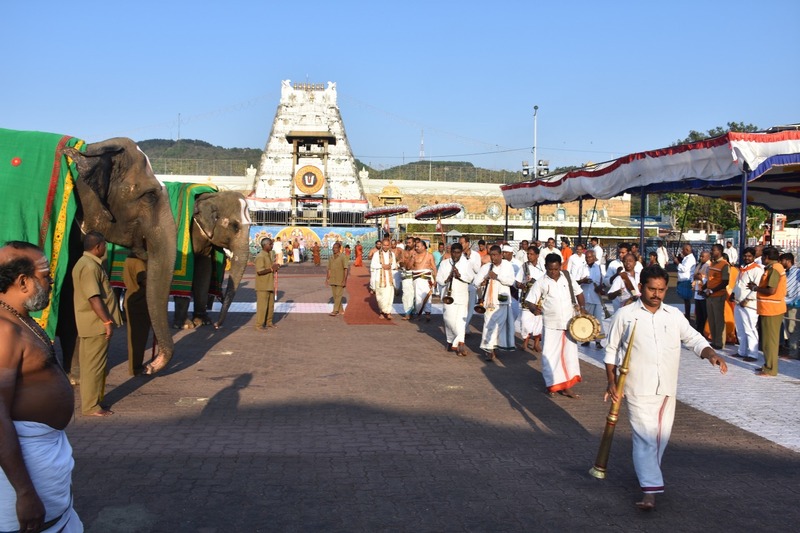 TTD EO Sri Anil Kumar Singhal, Tirumala, JEO and other officials received His Holiness along with the priests.